When traveling, whether with your family or solo, one of the best things to do is to get out there and go hiking. What else can you do that allows you to see the wonders to the world with a very low overhead cost? If you can hike back even just a half a mile to start, you can start to see a different world that is not visible from the road. 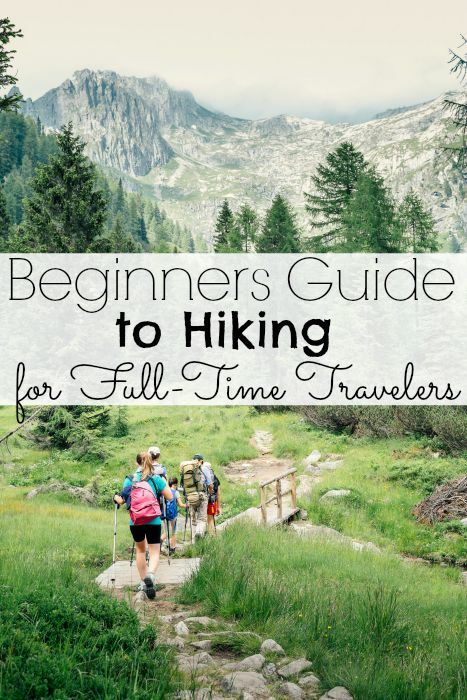 Here is a beginners guide to hiking for full-time travelers. First things first, make sure you check out the What Should be in Your Hiking Pack post. That has the basics of what you should take with you when you head out on a hike. Before you can start hiking though, you need to take a minute to think about what you are wearing. This is uber important because wearing the wrong gear in the wrong situations can have a very negative effect. When going out for a short 1-2 mile hike over paved or trails, you can wear running trail shoes. For longer hikes over rough terrain, you need sturdier hiking boots. For those hikes that occur in rain or snow, make sore your shoes are water-resistant. I personally wear compression socks when hiking long distances and wicking socks on shorter hikes. 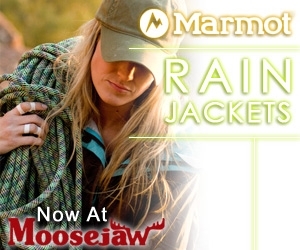 I tend to also wear a shirt that is water-resistant or have a rain jacket with me. My friends in excellent shape can easily become winded on hikes that they aren’t used to. Start out on a beginner route and move up once you are familiar with your surroundings. Think of it like this… say you are used to hiking 1-2 hours over a few miles in the hot desert of Arizona. Then you head to Denver or Alaska where it is a higher altitude, colder and the air has some humidity to it. Just those couple things can affect your body adversely. Personal experience talking here. Most full-time travelers that are mobile are either in their RV or personal vehicle. Plan on doing at least an hour hike everyday. This helps get you out of the driver’s seat and move those sore muscles. When you stay in one area for a week or so, go to the local visitor’s center for the region’s hiking map. Plan on checking out a different route daily.